DanceSyndrome relies on donations and grant funding to continue to inspire hundreds of people to believe in ability, not disability and that their dreams can come true. 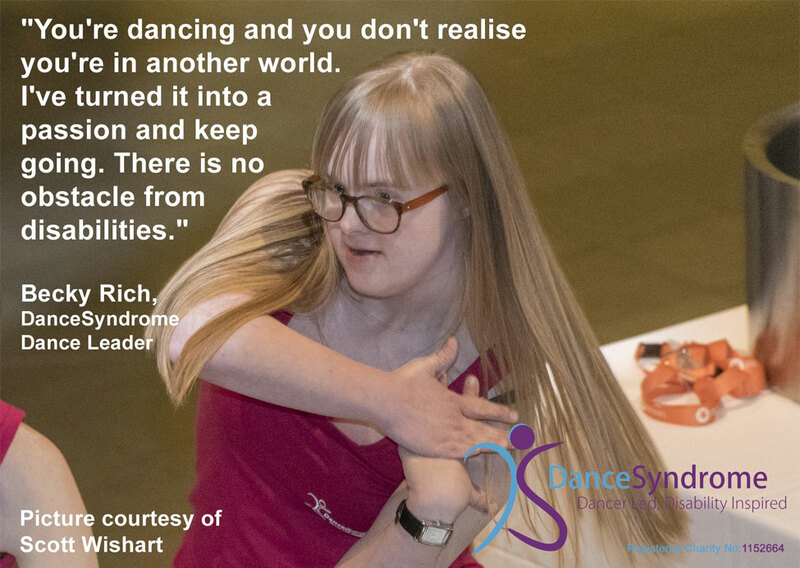 For every £5 raised, DanceSyndrome can support a person to boost their health, wellbeing and self-confidence through a DanceSyndrome workshop. Get in touch with us at info@dancesyndrome.co.uk to explore how we can support your fundraising activity. Choose DanceSyndrome for your next personal challenge, fundraiser or charity of the year campaign to inspire hundreds of people of all ages and abilities to follow their dreams. Become a Volunteer today and help us to continue to provide amazing services, through fundraising and support.